The history of the study of the diagnosis and pathophysiology of lung diseases at Boston University School of Medicine is a long and rich one dating back to the late 1940’s at the Boston City Hospital. It can conveniently be divided into three parts: the time before Gordon Snider arrived in 1968 to create a formal modern pulmonary medicine section independent of the treatment of tuberculosis in the Department of Medicine; the Gordon Snider era from 1968 to 1986; and the post-Snider era to the current time. Just as chemotherapy was beginning to become available for the treatment of tuberculosis the forerunner of our current Pulmonary Medicine Section was created by Edward Gaensler, a Thoracic Surgeon interested in the dynamic measurement of airway function. While trained as a formal tuberculosis surgeon, Ed was among the first individuals to understand the need for objective measures of pulmonary function. He was one of the first to determine the effects of all types of thoracic surgery on vital capacity and one of the first to understand the need for objective evidence in guiding the diagnosis of lung diseases. As a result he created one of the largest archives of open lung biopsy specimens spanning 4 decades and over 1200 carefully cataloged which over the years later served as the source for the first logical, pathology based characterization of interstitial lung diseases. More on this below. He also understood the need for ways to measure dynamic airflow and at about the same time as Tiffeneau in Paris, published a method (Science, 114:444; 1951) for describing an instrument for dynamic vital capacity measurements. This and a series of companion papers described the use of the FEV1.0 in defining obstructive lung diseases. The FEV1.0 remains the most useful pulmonary function measurement to this day. In between 1950 and 1968, Ed and his group also described a method for single breath measurements of diffusing capacity (the DLCO), the natural history of giant bullae of the lung and the criteria for lung resection surgery in emphysema, now known as lung reduction surgery revisited 30 years after the first descriptions here at B.U. Ed Gaensler remained at B.U. his entire career and continued an active research laboratory throughout the 1970’s and 1980’s when a long series of B.U. pulmonary fellows trained with him. During that productive period he collaborated with the renowned pulmonary pathologist, Charles Carrington to study the cases in his archive of over 1000 open lung biopsy specimens. This collaboration yielded the first clinico-pathologic dissection of interstitial lung diseases and differentiated UIP from DIP. They described the natural history and x-ray findings of eosinophilic pneumonia, generated one of the largest series of asbestos related lung diseases, the largest series of cases of eosinophilic granuloma and described for the first time the entity of organizing pneumonia with bronchiolitis obliterans (BOOP). In 1968, then Chair of Medicine Robert Wilkins, recruited Gordon Snider to become Chief of a new section of pulmonary medicine in the department of internal medicine. Gordon was appointed Chief of Pulmonary at the University Hospital and the Boston Veterans Affairs Medical Center in Jamaica Plains and created the structure of our modern section of pulmonary medicine. Gordon was rigorously trained in Pathology and at the Trudeau Institute in the care of tuberculosis and in lung physiology. He brought this training and a lifelong interest in emphysema to Boston University where he created the first small animal models of emphysema (with pancreatic elastase) and pulmonary fibrosis with bleomycin. These models continue to be used by scientists all over the world over 30 years later and form much of the basis of our understanding of these diseases. During that very innovative and productive time, Gordon, along with Carl Franzblau, the Chair of Biochemistry and Ed Gaensler created one of the first NHLBI sponsored SCOR programs and subsequently developed a highly integrated Program Project grant with PhD connective tissue biochemists and MD scientists. This constituted, in 1975, one of the first programs in what we now call translational medicine. Clinically, Gordon rapidly developed a premiere clinical training program drawing heavily from the case material on the pulmonary ward at the VAMC and the referral practice at University Hospital. But it was not until 1973 that the final piece fell into place that created the format of our clinical training program for many years to come. In that year the city of Boston decided to withdraw support for the Harvard and Tufts medical services at Boston City Hospital and awarded the entire franchise to Boston University. Jerome (Jerry) Brody was recruited by Gordon from University of Pennsylvania to become head of a newly created Boston University based pulmonary medicine section at BCH, vacated by the Tufts lung station clinicians. Perhaps more than any other single event, the recruitment of Jerry Brody was most important in creating the world-renowned pulmonary research and clinical training program we now enjoy at Boston University. Over the next 15 years, the partnership between Jerry and Gordon identified the need to create a department of pulmonary cell biology to accompany our clinical case material. In 1975 BU received one of the first NHLBI sponsored institutional training grants in lung biology. And unique to Boston University, it was the only one that recognized the essential marriage between basic and clinical scientists by attributing funding positions for Ph.D. pre and post-doctoral trainees. The majority of all these trainees were connective tissue biochemists, a trend that has slowly evolved with the science of lung diseases (See below). By 1979 Jerry and Gordon had recruited M.D. faculty to start programs in Immunology (David Center), Pulmonary Vascular Biology (Sharon Rounds) and to expand upon the existing expertise in Connective Tissue research (Ronald Goldstein). Jerry’s interests in lung growth and development expanded and Gordon’s research on animal models of fibrosis and emphysema rounded out a portfolio that covered the major systems involved in lung diseases. During the period between 1978 and 1986 there was also a major growth surge in additional MD scientists and clinicians. A faculty that numbered 4 in 1968 had grown to 18 by 1986. In 1982 another major event in our history occurred; the Pulmonary Research Center was created as an independent department in the medical school in recognition of our unique stature in the basic sciences and commitment to translational medicine. Gordon Snider was named the first head and Jerry Brody the associate director. Newly renovated space was specifically devoted to lung related research, creating an entirely new environment and central home for all our research and clinical activities. During that same period of time, the Boston City Hospital public hospital patient population added another essential part to our clinical portfolio, high acuity intensive care. In 1973, the BCH MICU was one of the first of its kind. It featured dedicated pulmonary intensivists in a closed unit format with twice daily rounding and medical house staff with no other responsibilities outside the ICU. While the norm today, this type of dedicated ICU coverage and care was extremely unusual at the time. Thus, B.U. had one of the first dedicated ICU environments for training of pulmonary fellows in Intensive Care Medicine which has been in continuous function for 32 years. The years between 1973 and 1986 were also remarkable for a number of sentinel observations. As noted, Ed Gaensler made the first description of UIP and DIP. Jack Faling and others invented the protected brush for sterile sampling of the lower respiratory track by fiberoptic bronchoscopy without contamination from upper airway secretions. Michael Fox and Jerry Brody made the first description of spurious hypoxemia or leukocyte larceny in ABG samples from individuals with very high white blood cell counts. Ralph Binder and Jack Faling published the first description of an entirely new entity of Chronic Necrotizing Pulmonary Aspergillosis. On a more basic level, Hardy Kornfeld, Bill Cruikshank and David Center made the first observation that gene products of HIV-1 could play a pathogenic role in lymphocyte biology in the absence of HIV-1 infection. This followed Hardy’s seminal observations that the CD4/CD8 ratio was reduced in certain apparently healthy gay men who went on to develop AIDS; a discovery that led to the identification of CD4 as the receptor for HIV-1 and the conditions in which the virus could be isolated. During that period we also recruited to the Pulmonary Section faculty our first Ph.D.’s whose research was solely dedicated to lung diseases, including one of the first formally trained molecular biologists to work solely in a lung division, Norbert Riedel. He is now cheif scientific officer for Baxter International Inc. 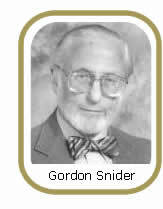 It is perhaps inaccurate to call the period after 1986 the post-Snider era, since Gordon is still alive and active today in patient advocacy with the Alpha 1 foundation. However, in 1986 he became Chief of the Medical Services at the Boston Veterans Administration Medical Center where he served for 14 years. While still an active researcher in emphysema, an active clinician in the pulmonary section, President of the ATS and an active member of the Pulmonary Diseases Advisory Council for the NHLBI, Gordon’s day to day commitment to the department of medicine necessitated changes in the structure of the section. Jerry Brody, who had been Chief of the Pulmonary Sections at the Boston City and University Hospitals became director of the Pulmonary Research Center and David Center became Chief of pulmonary at BCH and UH and the overall director of the Section and training program. The period after 1986 is characterized by several major changes. First, David Center and Jerry Brody completely reinvented the Section’s research portfolio. This resulted in the funding of a program project in lung epithelial biology with Jerry as PI and a SCOR grant in interstitial and inflammatory lung diseases with David as PI. 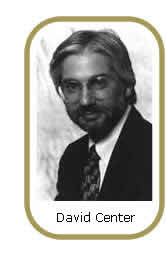 Ron Goldstein continued our existing collaboration with the biochemistry department in the connective tissue of the lung program project and in the renewal of the SCOR in 1995 he became the PI. At that time, David Center and Bill Cruikshank launched a new program in asthma funded by an NIAID asthma center grant. Second, there was another major growth spurt in faculty, from 18 in 1986 to 44 in 2005 including 14 Ph.D’s. The key recruit for the development of the epithelial biology PPG was Mary Williams, who came from UCSF in 1990 to team with Jerry in creating the critical mass necessary for a concerted effort in research directed at lung biology. Third, we added four new disciplines to our portfolio of lung science. George O’Connor, a former BCH house officer was recruited to head our asthma clinic and begin a program in epidemiology. This rapidly expanded to become the major lung related influence in the Framingham Heart Study, including the beginning of the Sleep-Heart Study; and to involve geneticists at BU in the study of factors related to asthma severity and the development of defects in gas exchange in COPD. Also, in collaboration with Charles Delisi of the Engineering Department of the undergraduate campus of Boston University Jerry Brody began one of the first systematic studies of genes regulated in the airways in smokers and individuals with lung cancer. Perhaps even more important than the science itself, this collaboration led to the creation of a formal training program in computational biology, applying mathematical models to the interpretation of complex large data sets. Two MD pulmonary fellows have received Masters in Informatics and 4 engineering Ph.D. students are now receiving their degrees in Pulmonary Center laboratories, supported by the Pulmonary Training Grant. We now support pulmonary fellow research and students in formal Ph.D. programs in Biochemistry, Pathology and Immunology. The most recent period also saw a tremendous growth in clinical training and programs. This began in 1993 with the recruitment of Helen Hollingsworth, MD who created an accredited Allergy and Immunology clinical training program that works in close collaboration with pediatrics, otolaryngology, ophthalmology and our Pulmonary and Critical Care training. This growth continued in the new millennium with an expansion of our MICU programs (including Critical Care research) and a new Director of the MICU Michael Ieong, MD. We most recently added a fully accredited program in Sleep Medicine to our portfolio of training opportunities and now list ourselves as the Section of Pulmonary, Allergy, Sleep and Critical Care Medicine. Terese Hammond, MD heads the clinical sleep program and Daniel Gottlieb, MD directs our sleep related research. Many MD pulmonary fellows have now received boards in each of these disciplines. In addition to a number of sentinel clinical observations, like the the first description of the association between TNF blockers and reactivation of latent tuberculosis, the Section has also been active in development of clinical diagnostics and therapeutics with 11 issued patents on technology related to IL-16 invented here and 10 patents related to genomic techniques of diagnosing lung cancer in smokers. The new millennium heralded further unprecedented growth and evolution of the Pulmonary Center’s research directions. Avrum Spira, MD, the first MD post doctoral fellow to train in Informatics now heads an Internationally Recognized laboratory studying the airway genomic variations in cigarette smokers with COPD and Lung Cancer training numerous students and post-doctoral fellows. In addition, our internationally recognized program in Lung Development headed by Wellington Cardoso, MD, PhD gained an essential partnership with expansion of the program in lung regenerative medicine, headed by Darrell Kotton, MD. Perhaps most importantly we recruited Joseph Mizgerd, DSc from the Harvard School of Public Heath to head a program in innate immunity and the response to lung bacterial infections in 2008. 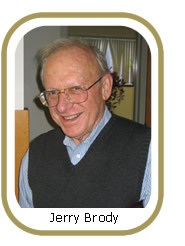 When Jerry Brody retired in June, 2009, Jay was named the third Director of the Pulmonary Center, succeeding Jerry and Gordon Snider before him. From our roots in lung physiology to stem cell and gene therapy the central driving focus of our academic faculty has been to ask questions about lung diseases in a challenging way. We have trained over 250 MD and 50 PhD pulmonary and critical care practitioners and scientists now working in 27 countries around the world. These include Chiefs of Medicine, Chiefs of Pulmonary Medicine and leaders in every aspect of lung diseases; as basic scientists, translational scientists, educators and clinicians. With all the accomplishments of the program over the past half century, we are most proud of the unique multi-national and multi-cultural environment created here at Boston University. The success of the model is best seen at our annual reception for past trainees each spring at the American Thoracic Society Meetings where between 100 and 200 former trainees and faculty return to socialize and keep up with the careers of their colleagues fellow Boston University family members.